People who are considering weight loss surgery often do so looking for relief from their sleep apnea symptoms. Doctors often recommend weight loss to their patients who suffer from sleep apnea, but losing weight and keeping it off is difficult, especially when a person experiences fatigue and exhaustion from frequently interrupted sleep. Most people who lose weight through dieting and exercise gain most or all of their lost weight back within five years of reaching their goal weight. 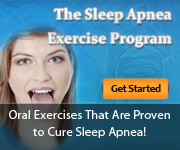 Significant weight loss is usually required to see complete relief from sleep apnea. The most effective weight loss surgery for sleep apnea is Roux-en-Y gastric bypass, the most common weight loss surgery procedure. Roux-en-Y typically results in rapid weight loss, and people who undergo this procedure are often able to see relief from their symptoms quickly. Laparoscopic sleeve gastrectomy or gastric sleeve surgery also typically results in quick weight loss. People who opt to have the gastric band procedure may lose less weight and often lose it more gradually than people who undergo the Roux-en-Y or gastric sleeve procedure. It usually takes longer for sleep apnea symptoms to disappear with the gastric band. In addition, the risk of regaining the weight lost is significant, since gastric band patients eventually have to remove their band. Weight loss surgeons usually order sleep studies for their patients to determine if they have sleep apnea. If you know that you have sleep apnea, your weight loss surgeon will probably require you to use your CPAP machine consistently in the weeks or months before your surgery. Having sleep apnea, especially when it is untreated, can lead to an increased risk of complications during surgery. However, although the risk is increased, it still remains around five percent, which is low enough for surgeons to proceed with the surgery since the benefits of weight loss surgery outweigh the risks. Losing weight and keeping it off is crucial for continued relief from sleep apnea. Weight loss surgery greatly increases the likelihood that an obese person will be able to maintain their healthy weight. People who successfully lose weight through bariatric surgery usually begin experiencing relief from their sleep apnea within weeks of their procedure. This is because weight loss tends to be rapid and results in airways that are unobstructed, allowing for normal breathing and uninterrupted sleep. People who have gastric bands implanted also frequently experience relief, although it tends to be more gradual because weight loss is more gradual.